Edited by Grotsmasha, 06 July 2017 - 04:41 AM. I'll bite, my first unit of Angels Revenant. I figure after being blown up by Necrons these guys might benefit from the Primaris program. Woah, what an entry. They just look gorgeous. One question: how did you achieve that nice gold tone of the trims? @rob_loken what a wonderfully painted squad! Love the weathering. Nice entry! What did you do for those awesome bases? Cheers, the bases are just Armageddon Dunes, washed with Agrax Earthshade and dry brushed with Dheneb Stone. Sorry to be a pain but what colours did you use for the blue and cream? I couldn't decide on a chapter until I saw these! Adding a unit to this thread, its my interceptors as well as my ancient (minus the decals for the fist logos and squad markings. That's an awfully long sword. 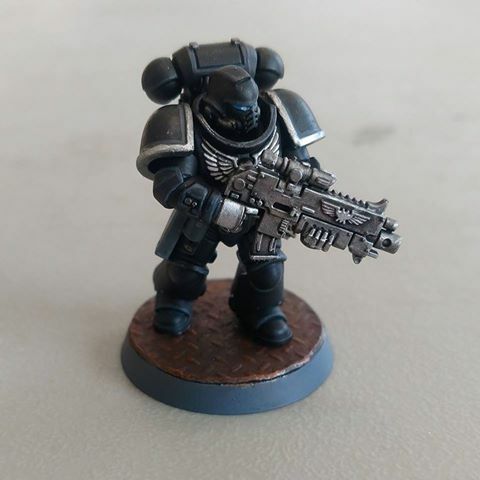 Captain (facing a traitor from Emperor's Children): "Am I compensating for something? Why, yes-"
Captain (thrusts his sword into the traitor's throat): "I'm compensating for the fact my battle-brothers have higher kill counts than I." Captain (twists the sword, launching the traitor's head from his shoulders): "I will correct this- one enemy death at a time." Edited by Bjorn Firewalker, 05 July 2017 - 06:51 PM. Some great painted minis on this thread so far. Just the standard bearer done at the moment, went for Blood Angels chapter. @Woolierwand hiya mate the blue was kantor blue with hoeth blue as a highlight and the cream is Vallejo Stone Grey with an Agrax Earthshade walk in the recesses. 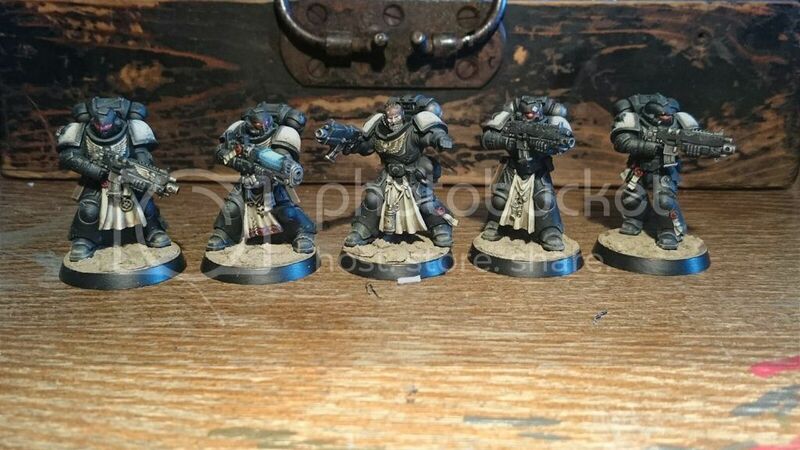 I must say all these Primaris dudes are looking fab. Thought for the day: There is no cowardice in faith. I used to be a stalwart Bretonnia player, old habits die hard. I can see this being my favourite thread. Great so far. Painting this up for a local GW demo display. Still feels like something is missing though. And a bonus just for scale! Hope you like him and any feedback welcome as usual.